Afghanistan, Kabul (AFP) -- With purple skin and an orange nose, her multi-coloured braids wrapped in a headscarf, Zari is Sesame Street's first female, Afghan muppet and she has a message: girl power. Copyright (AFP RELAXNEWS/ AFPTV), 2016. 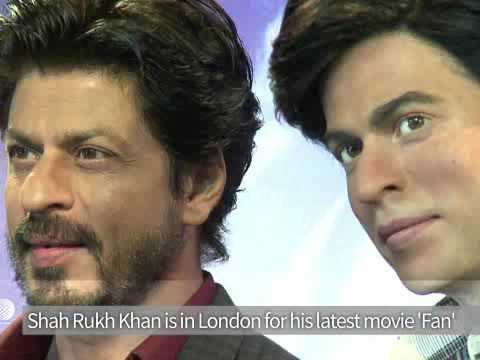 (United Kingdom, London-AFP) -- Bollywood star Shah Rukh Khan checks out his waxwork double at London's Madame Tussauds, after it was given a makeover to promote the actor's latest movie 'Fan'. Copyright (AFP RELAXNEWS/ AFPTV), 2016. 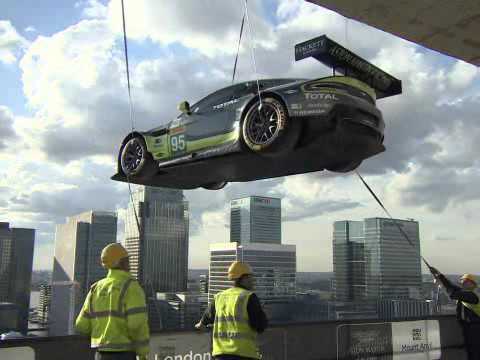 (United Kingdom, London-AFP) -- An Aston Martin race car dangles more than 300 feet over London, hoisted onto the roof of one of the city's skyscrapers to mark the partnership between the car company and a real estate firm. Copyright (AFP RELAXNEWS/ AFPTV), 2016. (Ethiopia, Addis Ababa-AFP) -- An Ethiopian-born business graduate has left the US to return home, where she has launched a company making luxury leather handbags. Although the majority of bags are sold abroad, 26 year old Abai Schulze is pinning her hopes on Ethiopia's growing middle class. Copyright (AFP RELAXNEWS/ AFPTV), 2016. 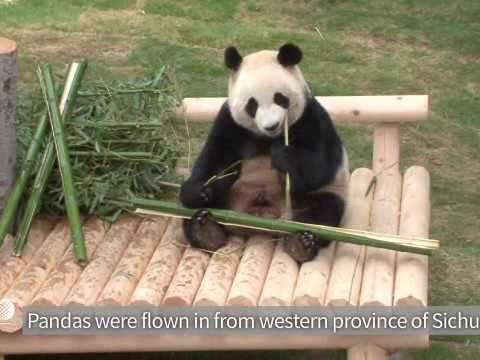 A pair of giant pandas, a state gift to South Korea from Chinese President Xi Jinping, are unveiled to the press during a media preview at Everland Amusement and Animal Park. Copyright (AFP RELAXNEWS/ AFPTV), 2016. 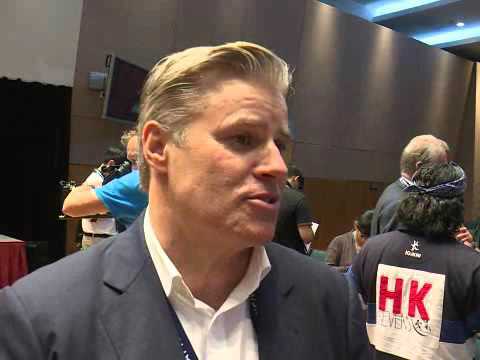 (People's Republic of China, H0NG KONG-AFP) -- World Rugby and e-commerce giant Alibaba announce a 10-year deal to promote the sport in China, a country with little heritage in the game but vast commercial potential. Copyright (AFP RELAXNEWS/ AFPTV), 2016. Los Angeles (AFP) -- The Universal theme park “Universal Studios Hollywood” unveiled new “Harry Potter” attractions. The online tickets for the opening day to the public (Thursday April 7th) have sold out. Some actors from the cast of “Harry Potter” films attended the event. Copyright (AFP RELAXNEWS/ AFPTV), 2016. 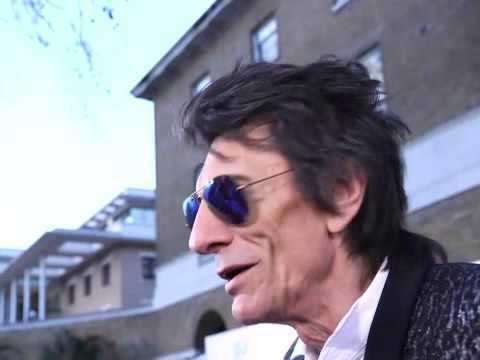 (United Kingdom, London-AFP) -- Guitarist Ronnie Wood says the Rolling Stones have recorded a new album featuring covers of blues songs at the opening of "Exhibitionism", an exhibition dedicated to the band at the Saatchi Gallery in London. Copyright (AFP RELAXNEWS/ AFPTV), 2016. (People's Republic of China, Hong Kong-AFP) -- A controversial movie about the future of Hong Kong wins the top prize at the city's film awards, after being a local box office hit but antagonising Beijing over its portrayal of the semi-autonomous territory in 2025. Copyright (AFP RELAXNEWS/ AFPTV), 2016. New York City (AFP) -- Washington Square Park in New York turns into a giant arena to host the International Pillow Fight Day. Money raised from the event goes to Dare2B, a charity fighting child homelessness in the city. Copyright (AFP RELAXNEWS/ AFPTV), 2016.